Have you ever wished to be able to run 5K? 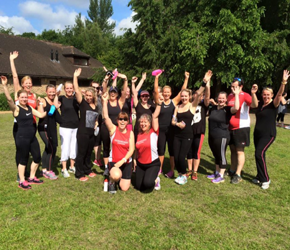 Well now is your chance with Pure Beginners, a group that is part of Sandhurst Joggers. Sandhurst Joggers welcomes brand new runners (those who have never run before but would like to try) to a Tuesday night group to meet like-minded people in a friendly atmosphere for a 9-week course. Our objective is to enable you to complete a park run at the end of the course. The course starts on Tuesday 2nd July and will end on Tuesday 27th August with a park run at Bracknell on Saturday 31st August at 9am for those that wish to participate. The total cost of the course is £15.00 per person, which includes membership to Sandhurst Joggers up until 31st March 2020. Payment of this fee is required in advance and designed to keep you motivated to attend each session. Once the course is completed, you are then free to join one of the running groups on a Tuesday night. The venue will be Sandhurst Memorial Park meeting outside the Main Hall at 6.30pm. The session will range from 40 minutes to an hour as we progress through the weeks. Each session will include a 5-minute warm-up, main session, followed by a cool down and stretch. Lisa Harrold has attended the Leadership in Running Fitness Course and has over 5 years experience in helping others to achieve their goals. She started running in her early 40’s and enjoys watching the success of all her graduates. Liz Crow has been a Sandhurst Jogger Member for many years and has helped so many people to achieve their running goals. whereby you will receive a membership form. Please complete the form and return to Janice Alves de Sousa (who is named at the head of the form) along with your payment of £15.00 no later than Friday 21st June 2019. If the membership form and payment is not received by Friday 21st June 2019 then you will not be able to participate in this programme. So now that you know what’s in store, why don’t you come and join us and embrace the challenge! !